Emerging evidence indicates that cadmium (Cd) is able to regulate gene expression, drastically affecting the pattern of transcriptional activity in human normal and pathological cells. 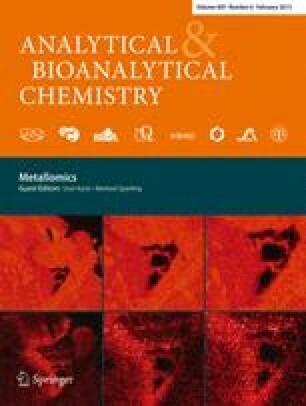 We have already shown that exposure of MDA-MB231 breast cancer cells to 5 μM CdCl2 for 96 h, apart from significantly affecting mitochondrial metabolism, induces modifications of the expression level of genes coding for members of stress response-, mitochondrial respiration-, MAP kinase-, NF–κB-, and apoptosis-related pathways. In the present study, we have expanded the knowledge on the biological effects of Cd–breast cancer cell interactions, indicating PLP2 (proteolipid protein-2) as a novel member of the list of Cd-upregulated genes by MDA-MB231 cancer cells and, through the application of transfection techniques with specific antisense oligonucleotides, we have demonstrated that such over-expression may be an upstream event to some of the changes of gene expression levels already observed in Cd-treated cells, thus unveiling new possible molecular relationship between PLP2 and genes linked to the stress and apoptotic responses. Published in the topical collection Metallomics with guest editors Uwe Karst and Michael Sperling. This work was supported by a grant from the University of Palermo, Italy (R.S. ex60%). We thank Ms. Mariapaola Ippolito for help in performing experiments during her laboratory internship. HB2 cells were courtesy of Cancer Research (UK).